Staff Directory | Bay Colony Development Corp.
Mary Katherine Mansfield has been with Bay Colony Development Corp. since 1985, and has served as President & CEO since 2016. Mary continues to oversee day to day operations and closing of the 504 loans for Bay Colony. She holds a B.S. in Liberal Arts from Assumption College in Worcester. 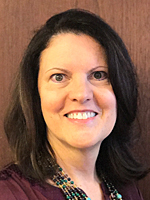 In addition to her responsibilities at Bay Colony, she serves as Chair of the Board for the National Association of Development Companies (NADCO), she has previously chaired the Servicing Committee and served on the Sacramento Loan Processing Committee, Streamlined Closing Committee, and Technical Issues Committee. Mary has previously taught the introduction to 504 Course and the Loan Closing course for NADCO, the completion of which is required for all CDC attorneys closing 504 loans. In addition to her professional commitments, Mary also served as the Chairperson of her Town’s Community Center. Mary is a past recipient of the Massachusetts and New England SBA Financial Services Champion Award. In July 2016, Betty became CFO at Bay Colony Development Corp. In her new role, Betty is responsible for overseeing financial management, compliance, administration and financial reporting for the company. Previously, Betty was SVP of Underwriting at Bay Colony for over 12 years where she was responsible for Credit, Underwriting and Loan Packaging. She has twenty years experience in commercial lending as well as five years experience in the commercial real estate development and management industry. Betty was a commercial lender at several lending institutions including US Trust, a subsidiary entity of Boston Trade Bank, Bank United of Texas (Chicago office), and Cambridgeport Bank. Prior to joining Bay Colony in 2003, Betty was a member of Bay Colony’s Board of Directors for five years. Betty earned her B.S. in Finance from Nichols College. Betty enjoys golf, skiing, hiking and bicycling. Erik Adams joined Bay Colony Development in 2010. He oversees sales, marketing, and lending at Bay Colony. After graduating from the Isenberg School of Management at UMASS Amherst, he moved to California to begin his career in SBA Lending. He spent 6 years providing expanding companies in Southern California with 504 financing. Now with Bay Colony, Erik and the Bay Colony lending team are helping to make such financing available to firms in New England. Outside of his professional life, Erik enjoys playing guitar, golf, and spending time with wife and two children. Eberto Ranero joined Bay Colony in 2013 as a Loan Officer. Prior to joining Bay Colony, Eberto had 20 years of banking experience, having spent the majority of his career working with small to mid sized business clients helping them assess their needs and providing financing solutions to assist them in growing their business. 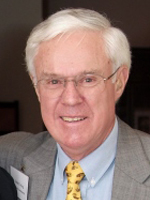 Eberto was most recently with Bank of America, where he was Vice President and Sr. Relationship Manager in the banks Business Banking group. Eberto is a graduate of Florida International University. 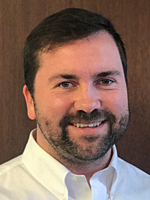 Brad Nichols joined Bay Colony in 2014 as a Loan Officer. Brad comes to Bay Colony with 10 years of banking experience, most recently serving as a Private Banker Vice President at People’s United Bank. Brad earned his Bachelor’s Degree in History from the University of Mississippi. While attending Ole Miss, Brad was a varsity football player. In 2014 Brad graduated from the Stonier Graduate School of Banking at The University of Pennsylvania. Brad enjoys spending time with his family. Brad has three children. 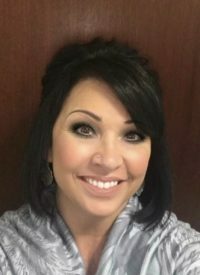 Heather Storme joined Bay Colony in October of 2017 as a Loan Officer. Prior to joining Bay Colony, Heather had 18 years of banking experience, primarily in Commercial Lending and Credit Analysis. Heather was most recently with Enterprise Bank, where she was an Assistant Vice President and Commercial Lender. 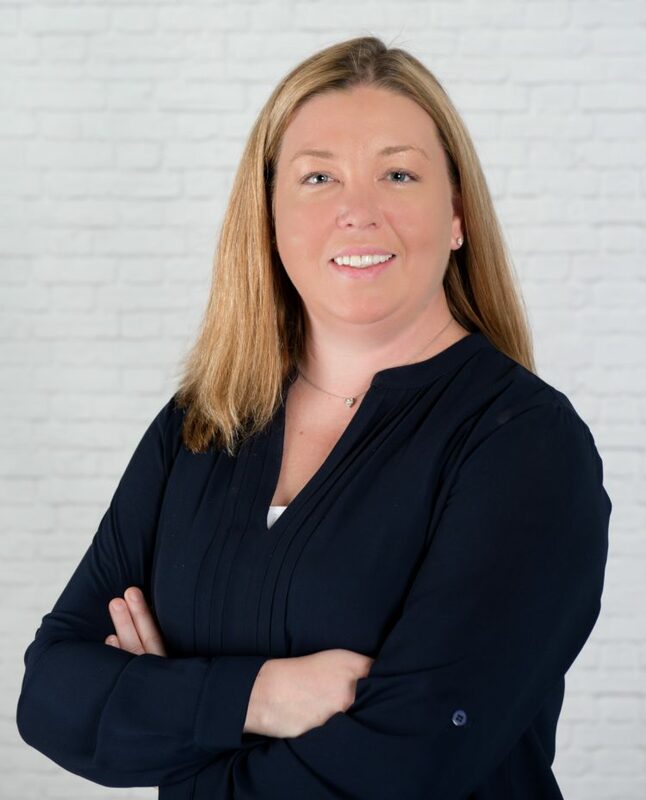 Heather is a graduate of Fitchburg State University with a Bachelor Degree in Business Management which has played a vital role in assessing her business clients needs and providing them with financial solutions. Heather has a passion for helping others even in her free time, as she runs her own health and fitness coaching business. Heather is a mother to three active boys, a new mother to her mini-golden doodle puppy and wife of 11 years to her loving husband. Donna joined Bay Colony as a Loan Packaging Specialist in 2013. She comes to us with over 20 years of banking experience. The majority of her career was spent at TD Bank as a Commercial Workout Officer where she managed a portfolio of over 300 adversely rated loans. Donna most recently was at the North Central MA Development Corp as a Lending Specialist. Outside of her professional life, Donna likes to golf, travel, and most importantly loves spending time with her family. Kim Legere is responsible for the servicing and maintenance of the 504 portfolio. 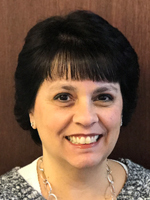 Prior to joining Bay Colony, she was employed at TD Bank as a Vice President in the Risk Management department as a Workout Officer for over 23 years. Outside of her professional life, Kim likes to golf, travel, and most importantly loves spending time with her family. Debbie joined Bay Colony as the Portfolio Specialist. She is responsible for assisting with the maintanence of the 504 portfolio. 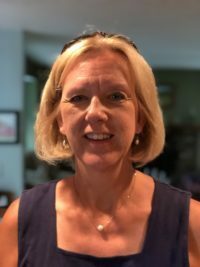 Debbie received her degree from Bentley University and was previously employed as a Payroll Manager at BayBanks and Modus Media before taking time off to raise her children. In her spare time she enjoys crafting, reading, and spending time with her family and dogs. Rosemarie joined Bay Colony as an underwriter in 2012 and was promoted to the Underwriting Manager in 2016. Prior to joining Bay Colony, Rosemarie was at Fleet Boston/Bank of America for 20+ years specializing in commercial real estate lending/portfolio management. Rosemarie received a BS in Finance from Bentley University and an MBA from Campbell University. Rosemarie enjoys cooking, reading, and spending time with her family. Danielle joined Bay Colony as an underwriter in 1993. She took some time off to raise a family, but continued to be part of the Bay Colony team as a board member throughout the years. She returned to her underwriting career in 2011. Prior to joining Bay Colony, Danielle worked at First Trade Union Bank. She graduated from Southeastern Massachusetts University. In her spare time Danielle enjoys skiing, spending time with her family and traveling. Melinda Bator joins the Bay Colony Development Team as an Underwriter, after having worked for us and various CDC’s across the country as a 504 Contract Underwriter since 2016. Prior to working as a Contract Underwriter, Mindy was a Portfolio Manager for Hampshire First Bank, where she acted as a lender, credit underwriter, portfolio manager, and SBA lending specialist. 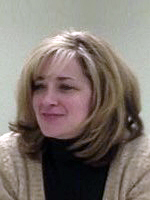 Mindy was responsible for the SBA 504 and 7(a) portfolio during her time at Hampshire First Bank. 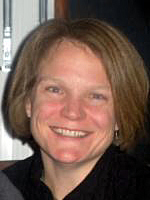 Mindy is a graduate of Southern New Hampshire University with a degree in Accounting and Finance. 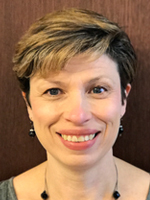 Mindy resides in Bedford, NH with her husband and five children and on her free time enjoys vacationing with her family, running and volunteering with her local schools parent teacher group where she is the active treasurer. Colleen rejoined Bay Colony as the Closing Manager in 2016. She is responsible for managing the process of closing and funding SBA 504 loans. She originally joined Bay Colony as an intern in 2009 during her college career at Babson College. Soon after graduation she was hired as a Loan Packaging Specialist and moved into the Portfolio Specialist role before leaving to join Northeast Bank as their SBA Loan Coordinator. At Northeast she worked to grow their newly established SBA 7a loan program exponentially. Outside of her professional life, Colleen enjoys spending time with family and friends as well as enjoying many outdoor activities. 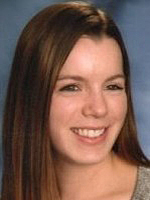 Caileen Horrigan is Bay Colony’s Closing Specialist. Caileen previously held the position of Portfolio Manager for many years and has recently transitioned into the Closing Department. She is responsible for assisting with the closing and funding of SBA 504 loans. Caileen earned her B.S. in Business Administration from Eastern Nazarene College in Quincy, MA. She enjoys travel, skiing, biking, and spending time with her family. As part of the National Development Council in 1980, he helped formulate the original 503 program (now known as 504) as a response to the need of small and medium sized businesses for low cost, long term financing for fixed assets. Initially, he guided the establishment of several city government based CDCs in New England. Later, recognizing the need to serve a larger area, in 1981 he founded Bay Colony as an independent CDC. David is a graduate of Tufts University and Harvard Business School.